CHICAGO, ILLINOIS, USA, November 8, 2017 — International economist and entrepreneur David Teece said this week that the environment for licensing, essential to future United States prosperity, is slipping away. His remarks were a part of a keynote address on Monday at the Intellectual Property Awareness Summit, IPAS2017, held by the Center for Intellectual Property Understanding (CIPU) at Chicago-Kent College of Law, Illinois Institute of Technology. The Intellectual Property Awareness Summit (Enhancing Value Through Understanding) is the first conference to dissect the widespread confusion over the purpose and use of IP rights, like patents and copyrights, and its impact on innovation, authorship, and jobs. IPAS2017 explored ways to improve IP recognition while diminishing theft through education, outreach, and information sharing. Panels and breakouts are included: What Audiences Need to Know About IP Rights and Why?, Identifying ‘Good’ and ‘Bad’ IP Behaviors – A Candid Discussion, and IP & Theft: The High Cost of Confusion. Facilitators and panelists included Hon. Randall Rader, Chief Judge for the Court of Appeals for the Federal Circuit, ret., Scott Frank, CEO of AT&T IP, Todd Dickinson, former Director of the United States Patent and Trademark Office, copyright activist, leader of the rock band “Cracker” and artists’ rights activist David Lowery, and more than thirty other thought-leaders. The audience attending IPAS 2017 included significant IP holders, organizations, researchers, and investors, as well as executives from the EUIPO, the International Chamber of Commerce, the IPO education foundation, the USPTO, the Michelson Foundation and other organizations engaged in IP education. The EUIPO reported via Skype on its 26,000-person IP perception study from its headquarters in Alicante, Spain. For the full program, panelists and conference partners, go here. The intended take-away of IPAS 2017 is to begin to identify what non-legal audiences need to know about IP rights, how best to convey it, and when. 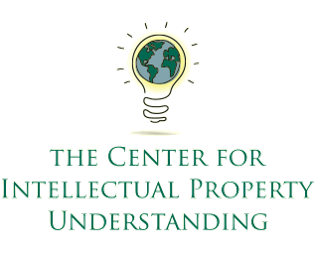 The Center for Intellectual Property Understanding is an independent, non-profit organization dedicated to increasing awareness of intellectual property rights and their impact on people’s lives. CIPU provides information, conducts research and facilitates education that seeks to improve awareness of IP rights and deter theft. The Center also tracks attitudes toward IP rights, including patents, copyrights, and trademarks, and through outreach provides an education framework for facilitating ideas, promoting competition and creating jobs. CIPU is a 501(c)(3) organization. For more information please visit www.understandingip.org.